If you've been around here for a while, you know I'm a big fan of date night. I've said before that dating isn't an extravagance. It's an essential. After the birth of our second son, my hubby and I hit a low point in our marriage. Transitioning to two had been very stressful. We weren't communicating well, and we weren't finding time for each other. Hubby left on a two-week trip to Europe for his MBA program, and I was at home with my two-year old and six-week-old and boy was I resentful. But while he was gone, he had an epiphany. He came home and told me he needed more time with me. He needed my undistracted attention. He wanted to date me. Ladies, when your husband tells you something like that, you make it happen! We worked out a plan to have two dates per month. Honestly, it felt like a stretch, and sometimes it is difficult to do, but it's always worth it. Two dates per month: one date a month we ask the grandparents to baby sit (they often take the kids over night which is ah-ma-zing). If you don't have grandparents around, try asking another couple to kid swap with you one night a month. Boom, free babysitting. The other date we pay cold hard cash for a babysitter. Yes, babysitters are expensive, but they aren't impossible. There is almost always wiggle room in a budget somewhere, try coffee or clothing or eating out, but find the money if you absolutely can because paid babysitters can't back out on you. We date alone: There are the occasional exceptions, but generally we don't use our two nights a month doing something with other couples. On the occasion that we do a double-date, we try to spend only part of the evening with the other couple and still some time for just the two of us, alone together. I don't expect my husband to plan them: Maybe your husband loves planning dates, but for mine it's the equivalent of pulling teeth to get him to plan a date. That's totally fine. The date is no less legitimate or meaningful because it was planned by me. I put a little effort into my appearance: First, I ditch the joggers pants or leggings and I put on some jeans. I know. Wild. I go beyond basic with my jewelry. I put on a little makeup and possibly style my hair. If my husband is really lucky, I wear some heels (usually of the wedge variety...because otherwise I can't walk). The point is, I'm taking time on myself to show him I care enough about this time to try to make it special. Plus, it helps him to see me with those "fresh eyes." Movies: I'm not sure why people see movies as a date cop out. We honestly both love movies, and love to talk to each other during (sorry, we are those people) and talk about them afterward. We allow ourselves one movie a month because they're expensive. Fun Errands: This is such a parent thing, but there are quite a few errands that can be fun when you don't have your children with you. While we've been planning and building our house, we've really enjoyed running errands that related to our design plans for the house. Make time for undistracted communication: Sometimes you have to force yourself to really talk. This usually falls into the eating portion of our date night, but sometimes it's walking around a lake with ice cream or even focused attention on our couch at home after we send the baby sitter home. 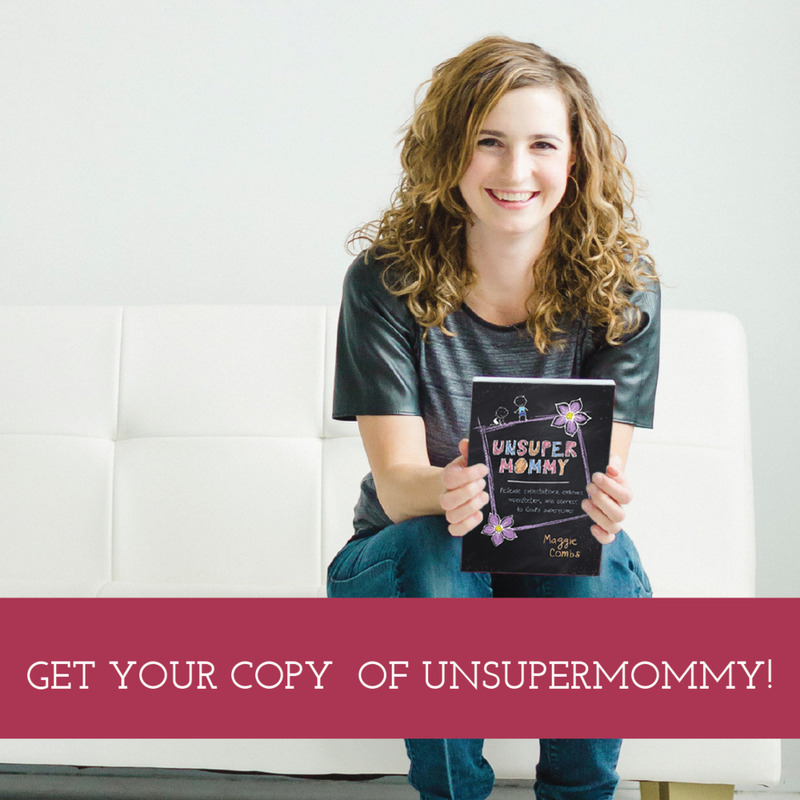 When I was writing Unsupermommy, I asked Wes what I could have done differently to help him adjust better to fatherhood. I'll never forget his answer. All he wanted was for me to spend more time really communicating with him. Yikes. As women, we often assume that we are the ones who require communication. Don't assume your husband doesn't need to talk to you as much as you need to talk with him. Make time for focused communication with your husband. At-Home Date Night Note: A lot of couples with children find success in at-home date nights. I love the idea, but my husband and I struggle to implement them well. We are both highly distracted by tasks, phones, and even our favorite tv shows if we are at home. But if they work for you--do them! That's our date nights, in a nut shell. If you have any questions I haven't covered, please feel free to ask them in the comments! Now go forth, and date your hot husband! We're ditching the kids tonight. Actually, we ditch them twice a month. It sounds extravagant, doesn't it? For years I thought it was enough to manage one night a month, which usually became one night every other month. After our second baby was born our marriage hit its lowest low. Finally my husband grabbed me, unmet need in his eyes, and told me that he needed to date me. Often. So I put my thinking cap on and came back with twice a month. One night a month the kids would sleepover with grandparents and another night we would get a babysitter. It was the first time we had ever paid a babysitter. We always relied on grandparents before that, and it just wasn't enough. Putting down money just to get out of the house felt borderline frivolous--even a bit selfish--and at first I balked at it. But I was wrong. Dating is worth every penny, because it's loving my husband well. Loving him well is loving my children well. Loving him well is loving myself well. Loving him well is loving God well. Find a way, fellow mommies, find a way. Get grandparents in on the game. Do a kid exchange with another couple once a month. Skip a new shirt to pay for a babysitter. If you are dating often enough that it feels extravagant, it's probably just enough. Our most essential human relationship requires a little extravagance.